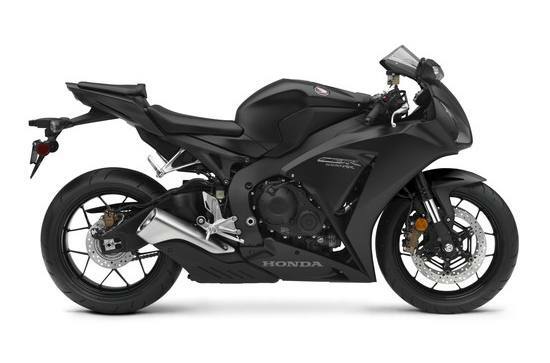 Front and Rear Suspension: The CBR1000RR standard features top-notch suspension components both front and rear. Up front, the 43mm Big Piston Showa fork is smooth and responsive; in the back, the Unit Pro-Link® design uses a balance-free rear shock with a double-tube design for a smoother response and better road-holding feel (traction performance). LCD Instrumentation: The CBR1000RR’s full-screen LCD instrumentation includes a lap timer, trip and fuel-consumption computer, five-level customizable shift indicator, gear-position indicator, and peak-rpm memory function. Centrally Located Fuel Tank: The CBR1000RR’s 4.7-gallon fuel tank is positioned in the center of the chassis and low in the frame. This allows for a more compact design but more importantly, it helps centralize the bike’s mass. Increased mass centralization means the CBR is more responsive to rider input, especially when leaning the bike into a turn or standing it up at the exit. Combined Anti-Lock Braking System (Electronic C-ABS): Electronically controlled C-ABS distributes brake force over both wheels, helping to maintain braking confidence in less-than-ideal conditions. The system electronically measures rider input on the brake lever and pedal, and applies only the front or rear brake in some cases or combines both brakes in other situations.